6 Responses to There are FANCY beards? Yes there are. You can tell by the fact that it’s got two points. Damn right! We have CONTESTS for our beards! World Beard and Mustache Championship, category: Full Beard, Freestyle: My answer is a resounding yes. Ooh, the “Chameleon”. 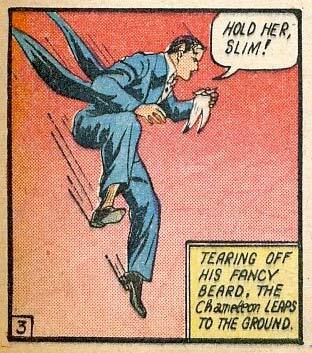 I guess only a fancy beard would suit him.